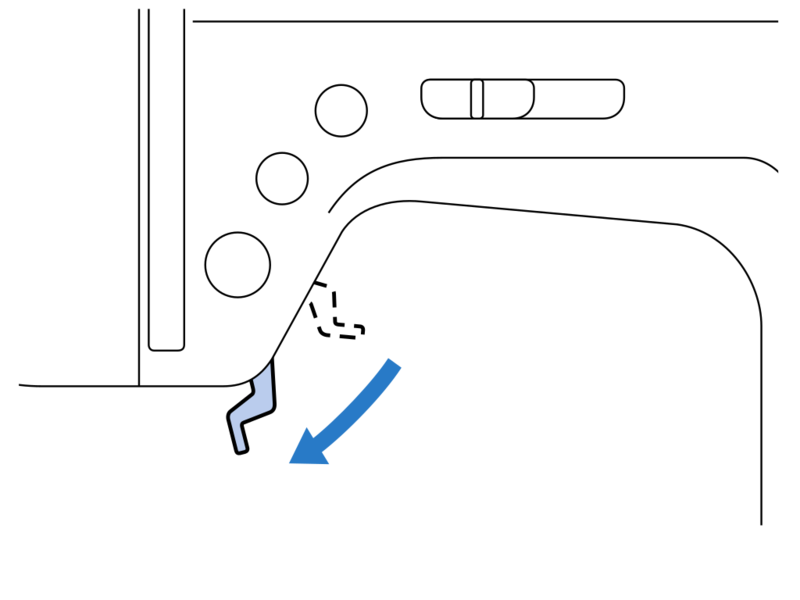 Sewing is a commonly used production technique where two fabric layers are fused togheter by stitching. Some other examples that are also sewn togheter are car seats, furniture cushioning, curtens,.. There are different steps needed to create a fabric creation. First there is a model needed. This model is translated in sewing patterns. The patterns are used to cut out the fabric in the right dimensions. The fabrics are sewn togheter by the sewing machine. 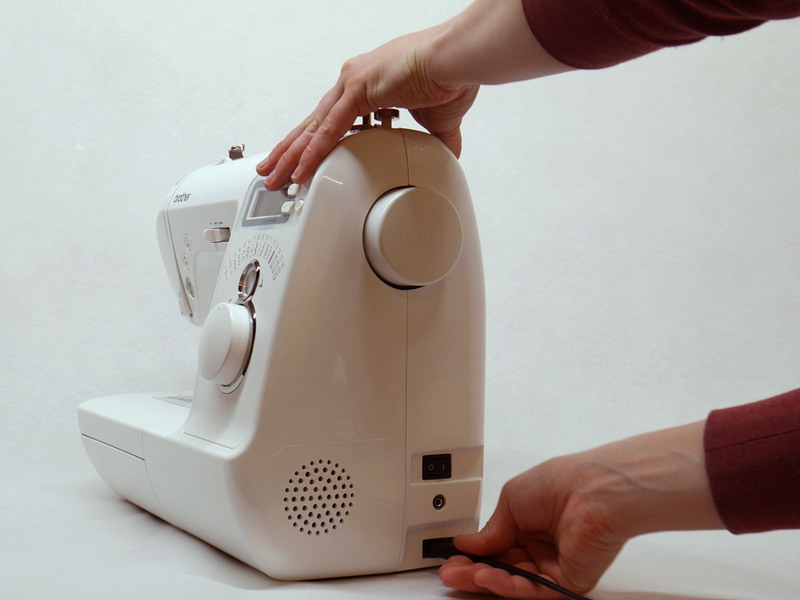 Learn how to wind the bobbin and thread the sewing machine to be able to start sewing. Learn how to adapt the speed, the type of stitch and the thread tension. Learn how to make a straight and zigzag stitch. 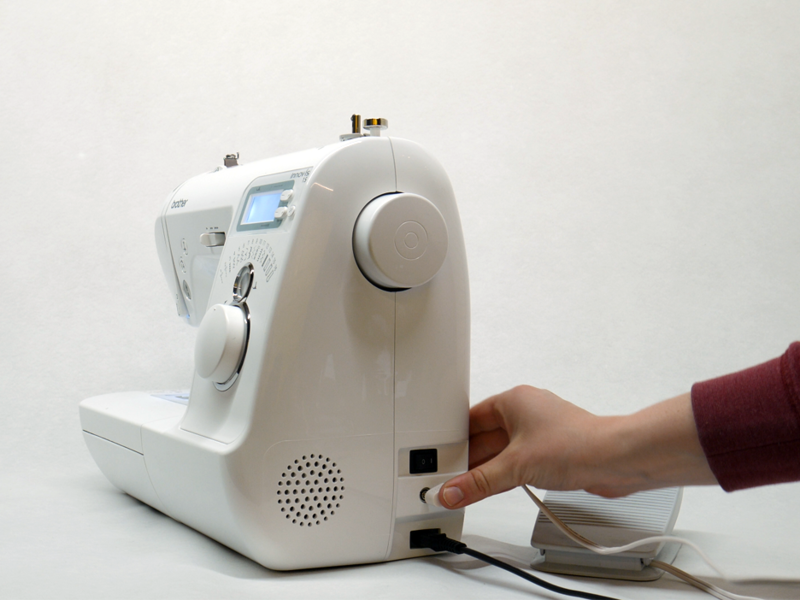 You will be able to change the needle and change the foot of the sewing Machine. Plug in de power supply and foot controller of the sewing machine. Turn the sewing machine on. 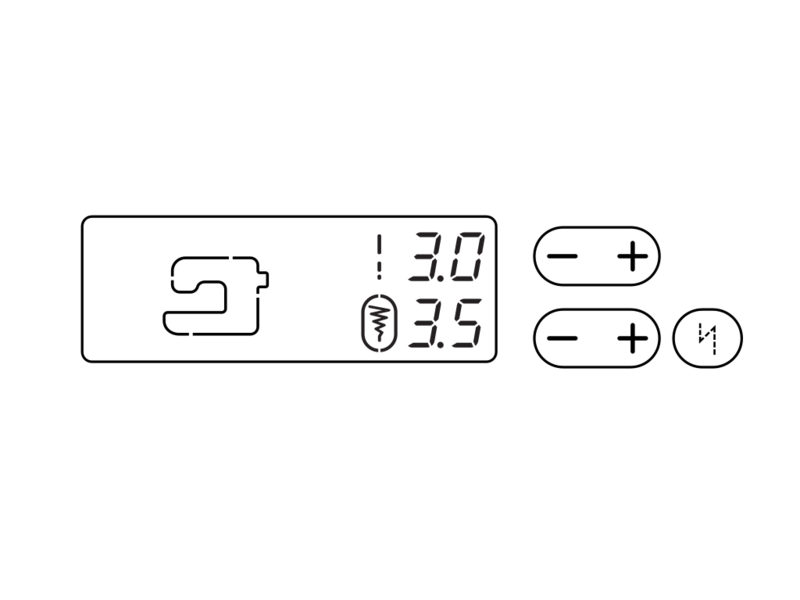 The button is located at the right side. There are a few bobbins delivered with the machine. 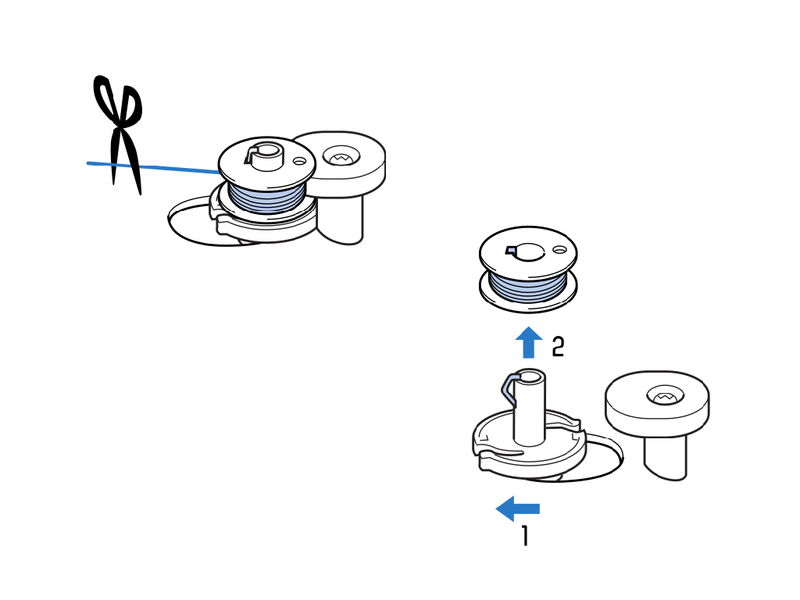 Make sure to use the included bobbins (the height is 11,5 mm). Using bobbins with different specifications might cause harm to the machine. 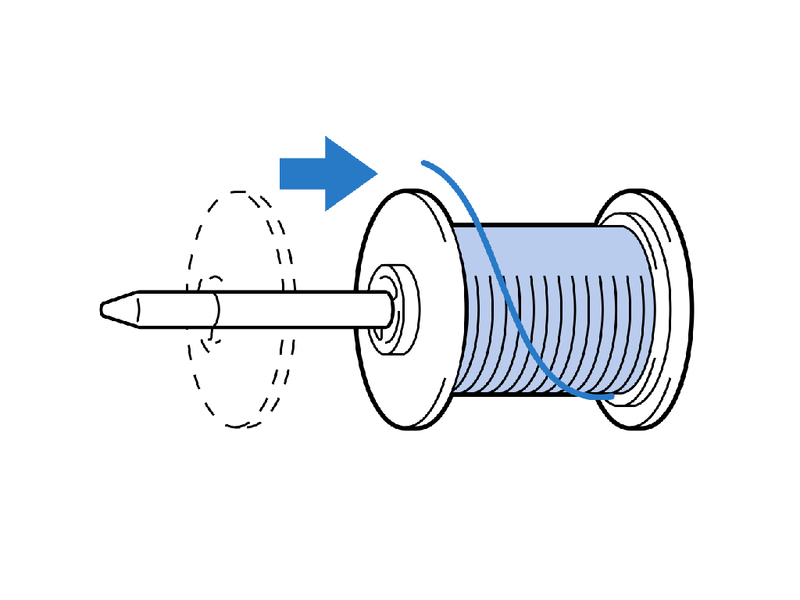 The bobbin is located underneath the needle. Just push the snap to the right and the lid will open. Take out the bobbin. 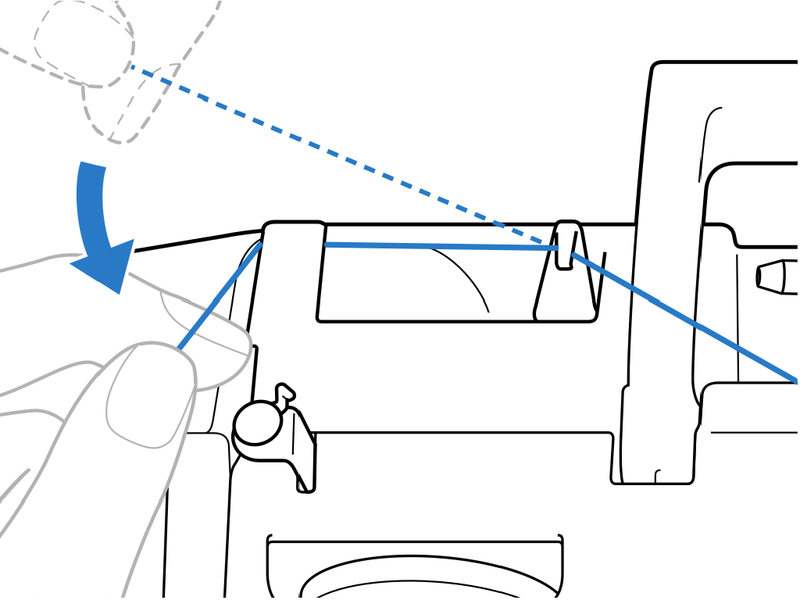 Place the bobbin on the bobbin winder shaft, located at the right top of the sewing machine. feed the thread through the machine. follow the dotted line. Wind the thread five times clockwise around the bobbin, before passing it through the slit of the bobbin winder. pull to get rid of the excess thread. 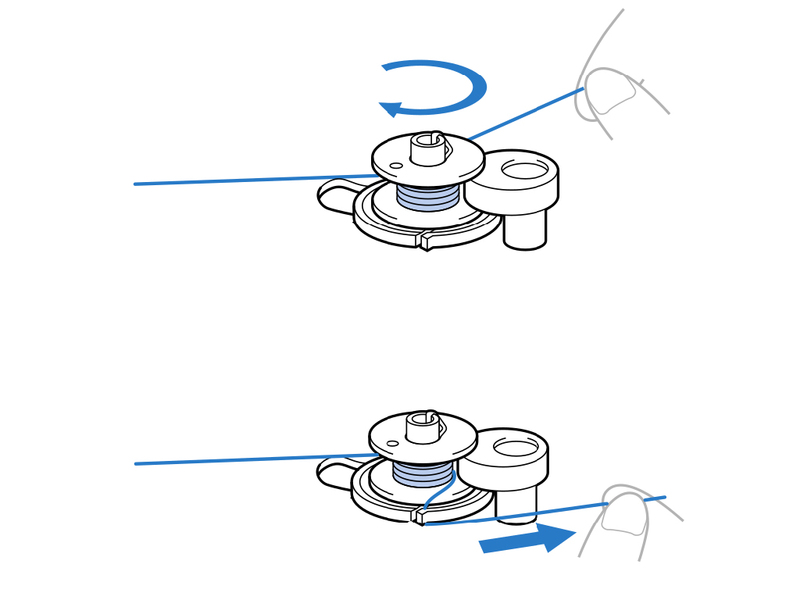 push the bobbin winder shaft to the right till it snaps in place. 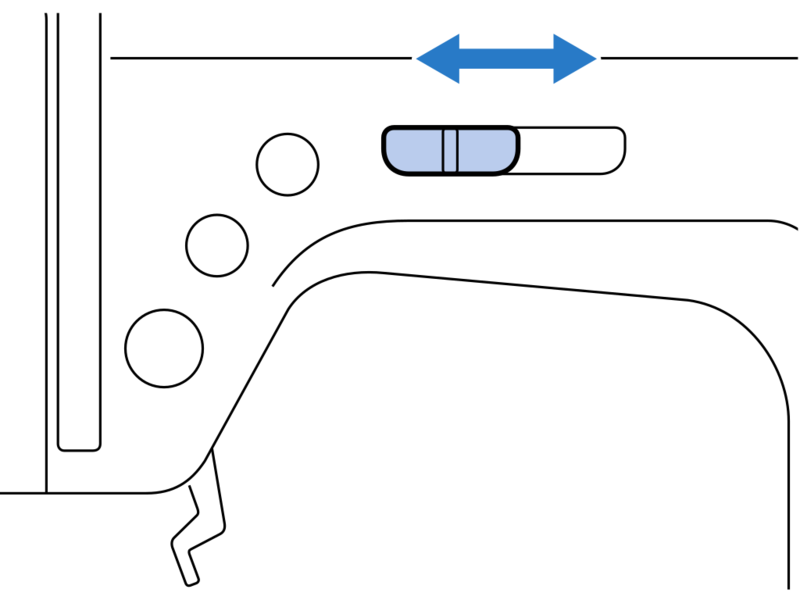 push the foot controller, the bobbin will start winding. 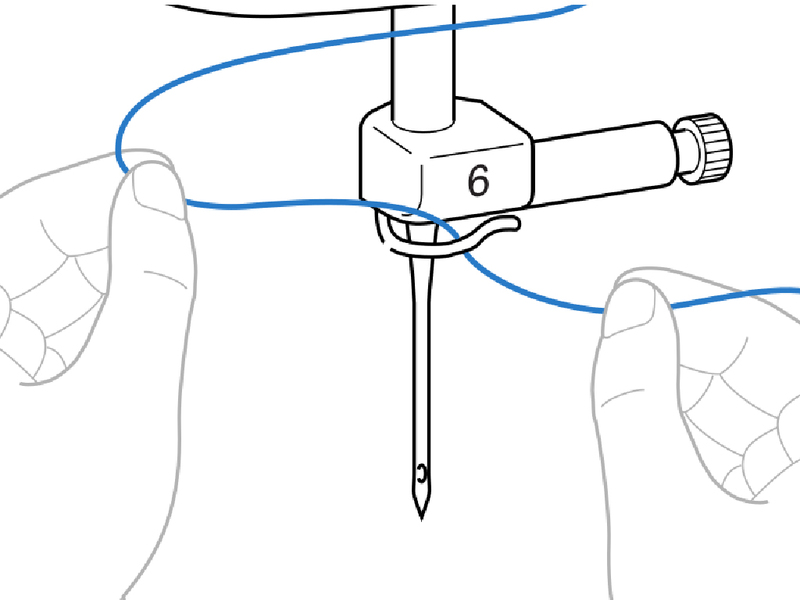 While the bobbin winder shaft is in the winding position the needle will not sew. 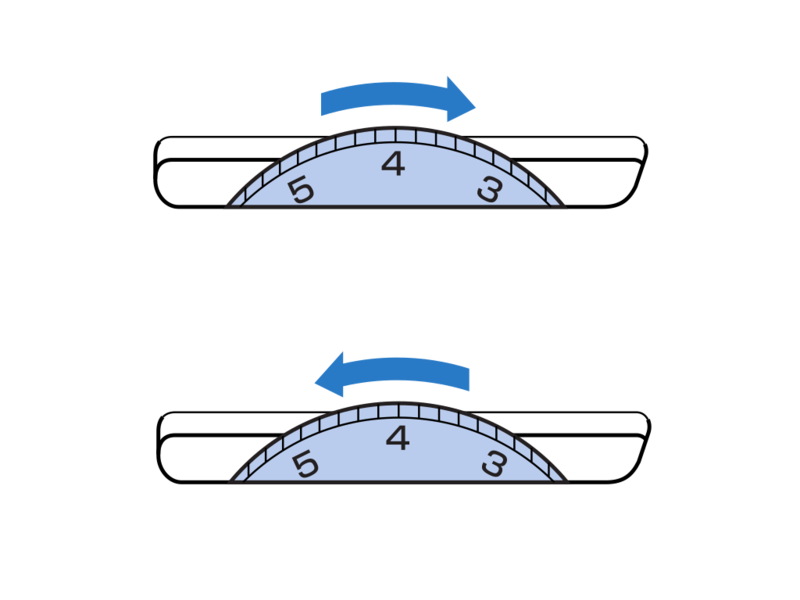 The speed can be adapted by sliding the speed regulator to the right. when the bobbin is almost full the speed will slow down. 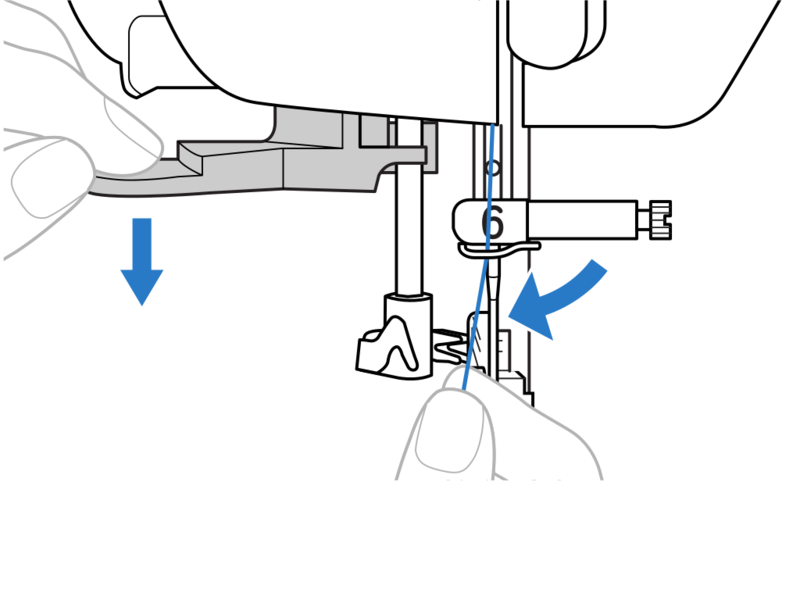 Lift your foot from the foot controller and push the bobbin winder shaft back to the left. Cut the thread. Open the lid underneath the needle. Place the bobbin back so the thread on the bobbin goes counterclockwise. 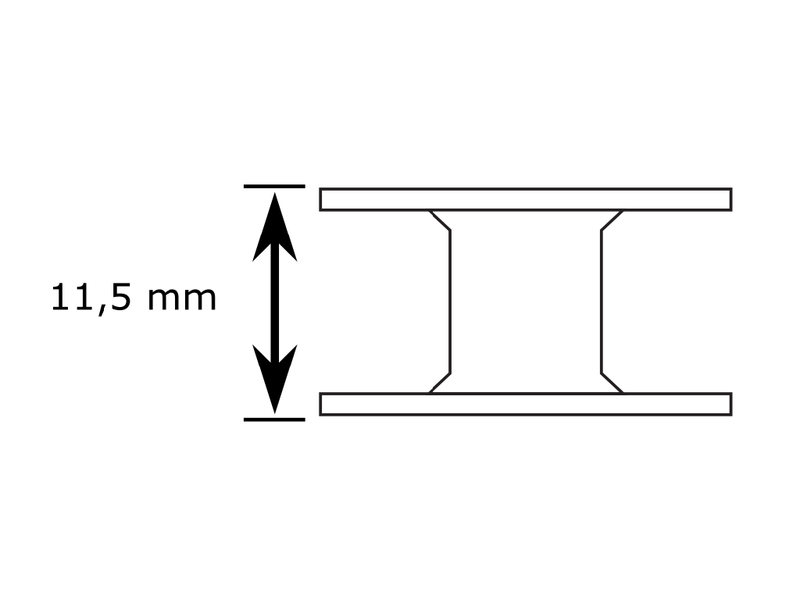 Pull the end of the thread through as indicated on the image. pull the thread so the end is cut off. place the spool cap on the spool pin. 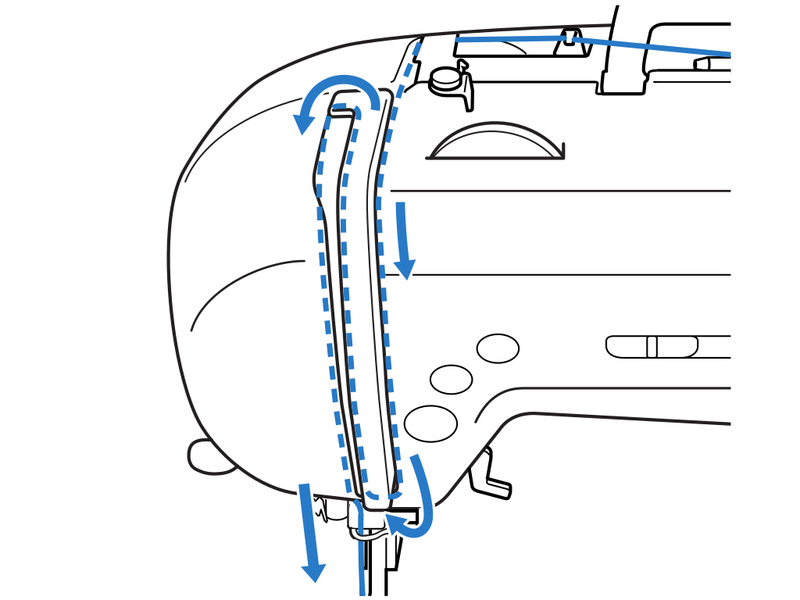 Follow the full black line indicated on the sewing machine to thread the machine. Follow the numbers 1 to 6 to thread the machine. It's possible to just push the thread through the needle. To avoid a lot of fiddling, there is a needle threader that can be used. Push the needle threader lever down. Meanwhile, guide te thread behind the hook. 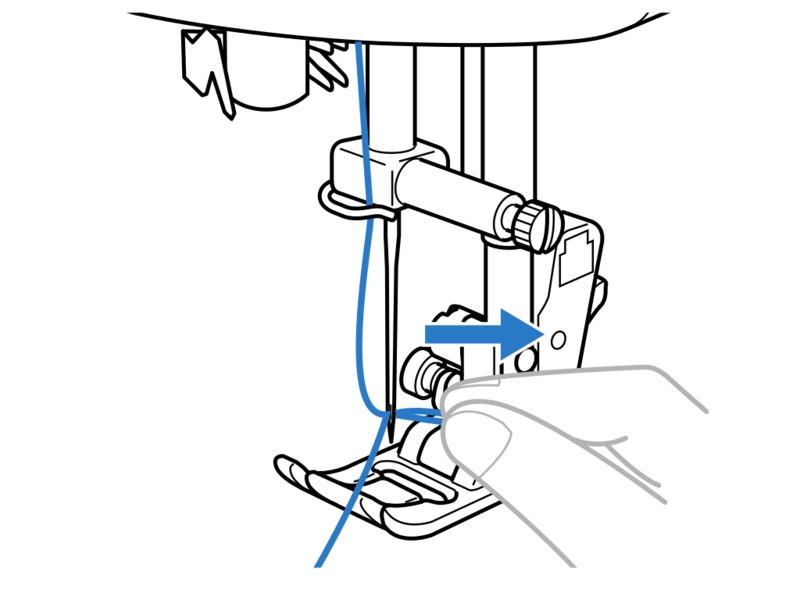 When the lever is fully pushed down, guide the thread through the little teath located at the needle point. A little barb will pull the thread though the needle eye when lifting the lever back up. You can adapt the speed of the machine by sliding the speed button. Slide to the left to slow down, slide the button to the right to speed it up. There is a dial to choose the type of stitch you want to use. 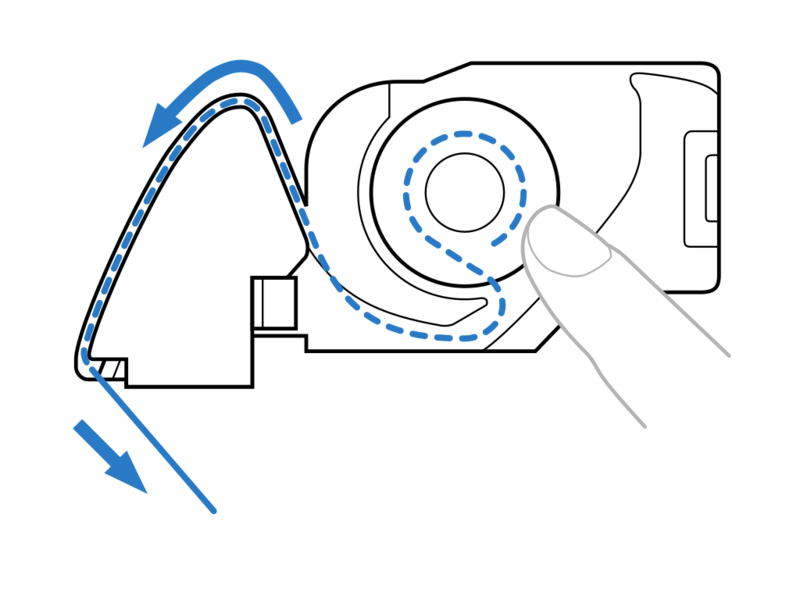 Number 1, the straight stitch, is the most used one. Push the +/- signs to adapt the stitch in width and length. There are two threads. The needle pulls the upper thread through the two layers of fabric to the underside of the fabric. Here the bottom thread will get intertwined with the upper thread. The needle is pulled back up and the upper thread is back on the upper side of the fabric. Now the two layers of fabric are connected to each other. Push the “needle” button to lift the needle. Lift the presser foot lever to lift the presser foot of the sewing machine. 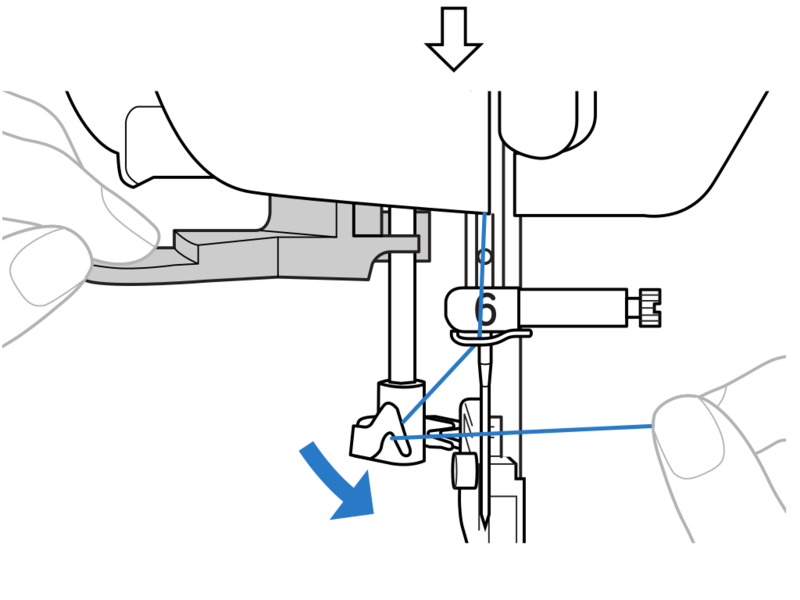 Place the two layers of fabric underneath the presser foot of the sewing machine and push the presser foot lever back in place. To start or end a stitch, it’s important to go back and forth over the same stitch. This is makes sure the thread won’t come loose during the lifetime of your creation. Sew one or two stitches by pushing the pedal. Push on the “go back” sign. Push a second time on the “go back” sign. 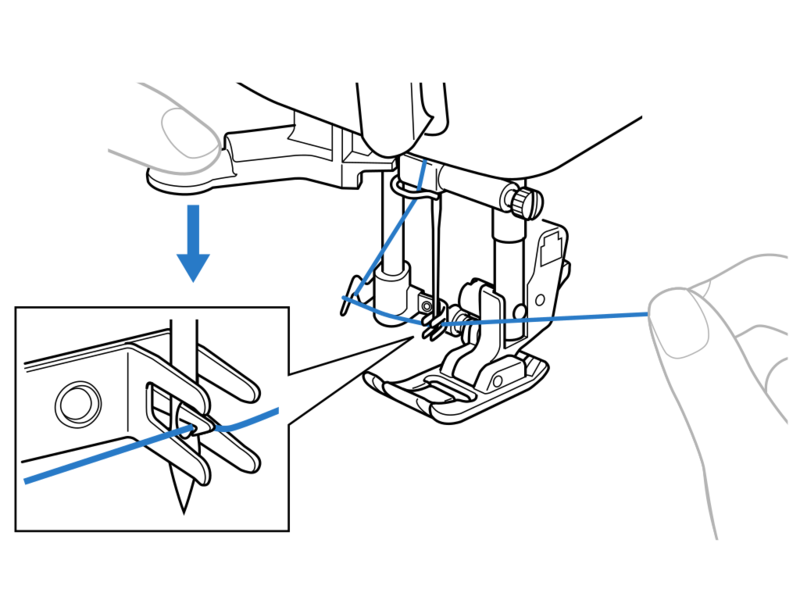 Now you can start stitching by pushing the pedal. 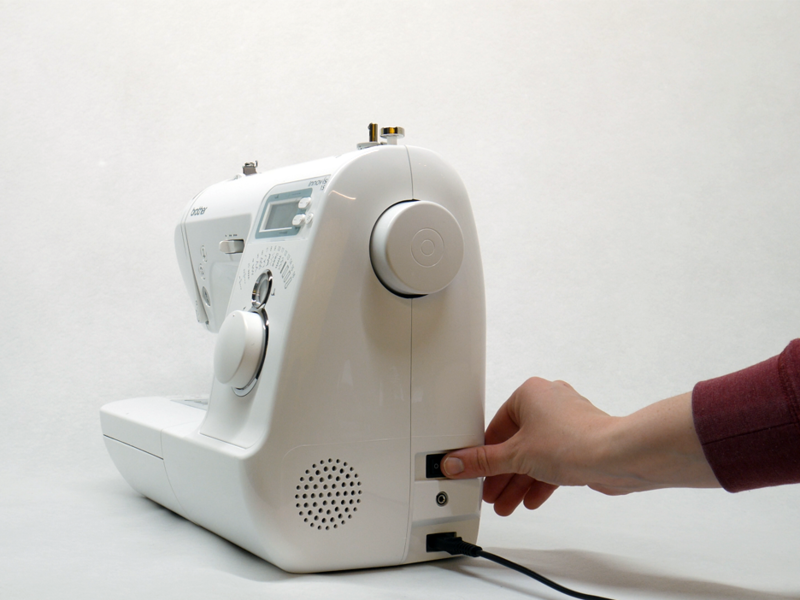 You don’t need to pull the fabric through, the sewing machine has a transporter that slides the fabric through. 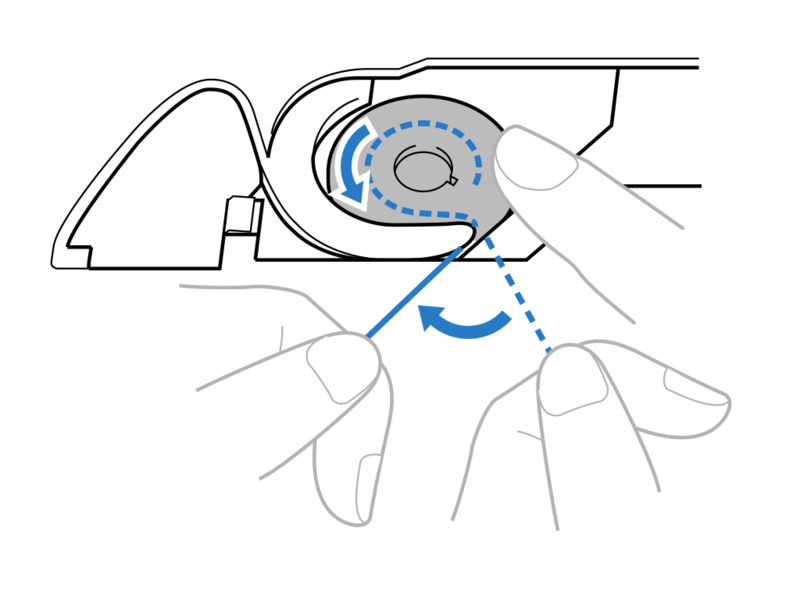 You can make turns by moving the fabric with your hands. Make sure the fabric is straight when it goes under the needle. When ending your stitch go back and forth over the last couple of stitches. To change the needle, take the screw driver. Unscrew the big screw on the right side of the needle. The needle will now fall out of the holder. Take a new needle, the flat side at the top of the needle needs to be on the front side. slide the needle back in. Attach the screw. For some stitches another presser foot is needed. Every presser foot has it letter. On the dial to choose the stitch a letter is shown. 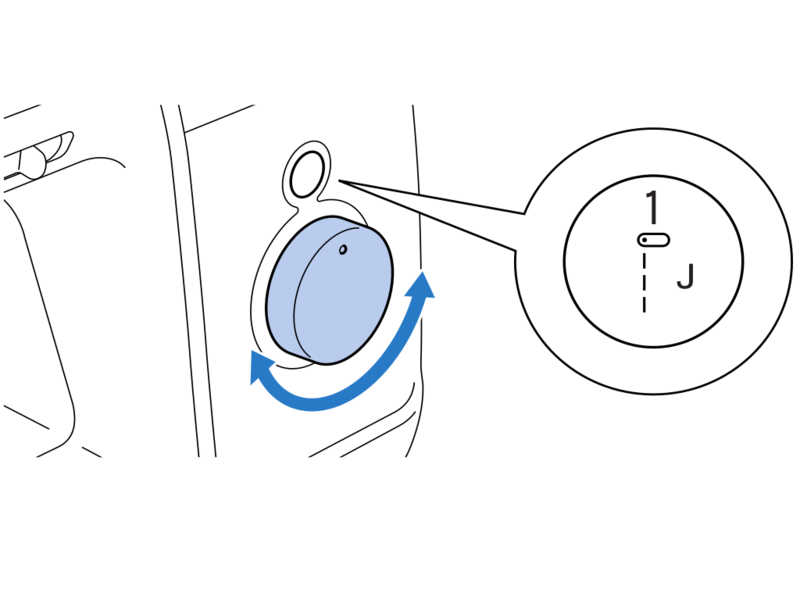 For example for the straight stitch, the presser foot J is needed. 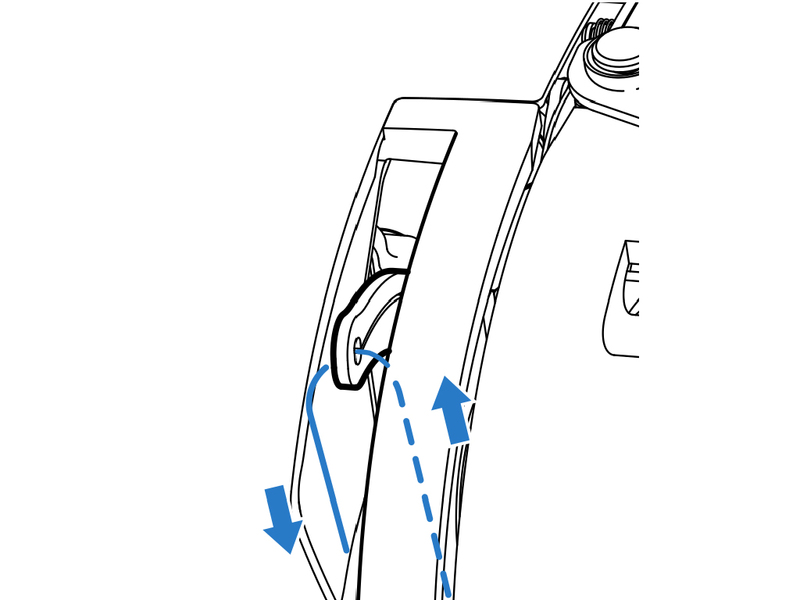 Change the foot by pressing the black switch on the backside of the presser foot. The foot will fall of. 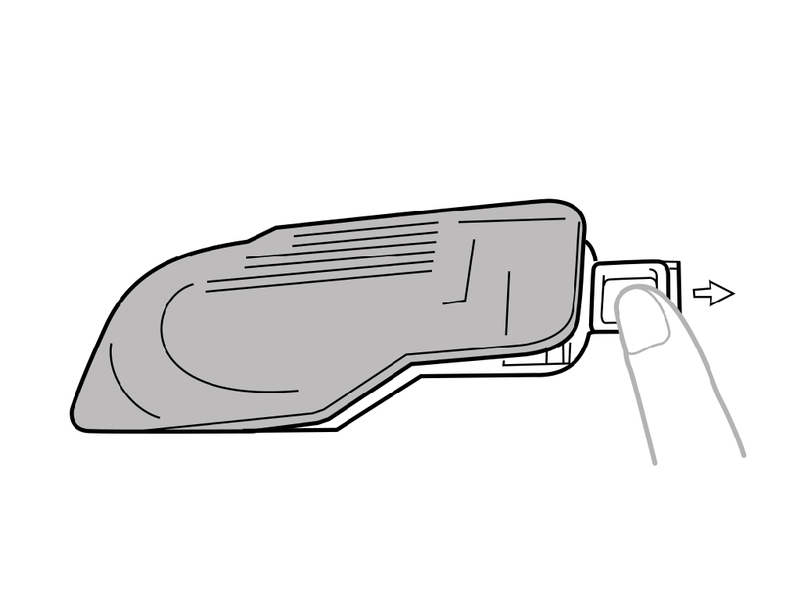 Take the presser foot needed and place it under the foot. Press the black switch to attach the foot. Q: My needle got stuck. A: This means that you pulled the fabric too hard, so the needle bended. Push the needle straight. When the needle got too transformed, take the needle out and replace it with a new one. Q: The fabric got stuck in the transporter located at the bottom. A: Pull the fabric out patiently. It might help to cut off the fabric a bit. You can open up the sewing machine case. Q: there is only a thread on the upper side of the fabric and it’s not stitched. 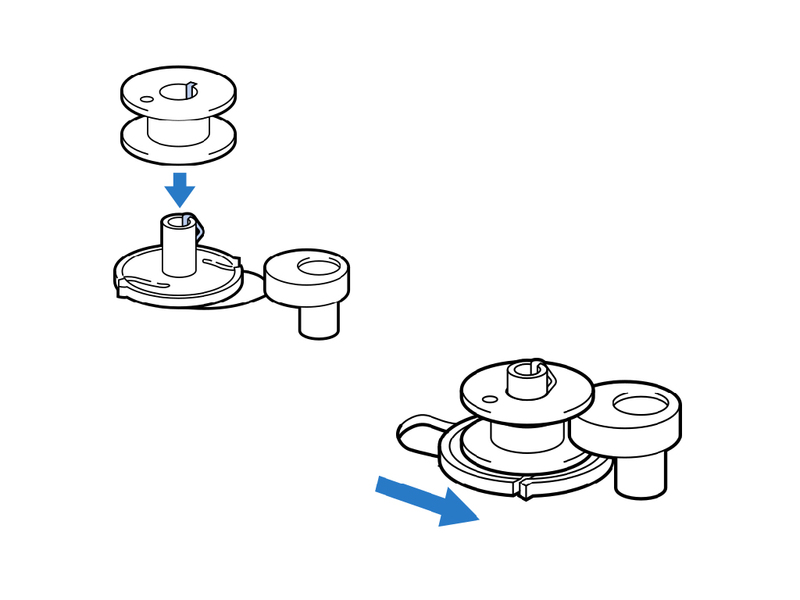 A: The thread on the bottom coil is empty. Remove the coil and wind it up.